For information on literature classes from accredited online colleges, check out this resource. 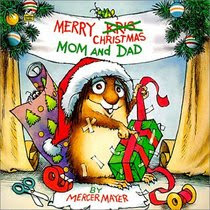 December Book Spotlight: "Merry Christmas Mom and Dad" by Mercer Mayer I absolutely love the Little Critter books, and this one is no exception! Have fun finding the little spider, mouse, and grasshopper on each page, while enjoying a fun holiday book with your kids.